Standing on the front porch this morning, around 4 a.m., there was a hush that only comes after the snow. 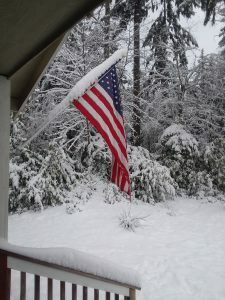 It started falling around noon on Friday, accumulating just under 11 inches overnight. It snowed on and off for awhile on Saturday, then was sunny for awhile into Sunday morning, starting to snow again in the evening, giving us another two inches. My boss called another snow day today, and I have no idea what is going to happen for tomorrow since some reports say another front is coming in. On Saturday morning when I took Moose outside, he was confused at first, since he’d never experienced snow, especially like this, so after he did his business, he got this mischievous expression on his furry face, and dove head first into the snow, rolling around in it with absolute glee. 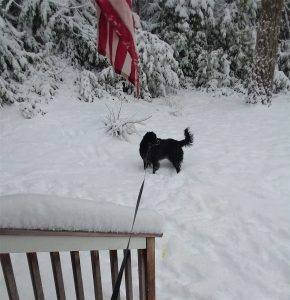 I was in a robe and slippers, so as fun as it was, I did need to bring him inside and warm up again. After a bit of tug-of-war on the leash, he relented and came inside. If he’d been a kid, I’m sure he would have been saying, “Awww, Mom! Already?” Don’t worry, I took him back outside a couple of times throughout the day, his enjoyment growing each time we did. He is sitting on the love seat right now, staring out at the yard. I can’t tell if he’s watching the birds on the feeder, or wishing he could bounce around in the yard. I’ll take him out later to give him a chance to have some fun. Here are a few pictures from our front porch, and of the humming birds that stopped by for a few sips of fresh, warm nectar, and a cute little bird hanging out on the porch railing after a meal of seeds that R put out for them. The cat was highly entertained all day watching them through the window. Sounds like the words to some modern love song, doesn’t it: “Your love is better than life.” Well, it is a love song; it’s just not modern. While in the desert, David spoke of his longing for the LORD. He recognized that life would be worthless if he had to live it without the love of God. When is the last time you’ve told God you loved him? 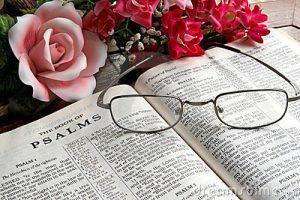 When was the last time you sang a love song to Jesus? No matter how long or short that time has been, today is THE perfect time to let God know how precious his mercy is to you, how liberating his grace is for you, and how his love is more important to you than life itself. I find it to be a little humorous that last week I was wishing that we’d get dumped on . . . and we did! There are some folks in our area that got over 24 inches of snow and more is coming! I love it, but I know that not everyone agrees with me. 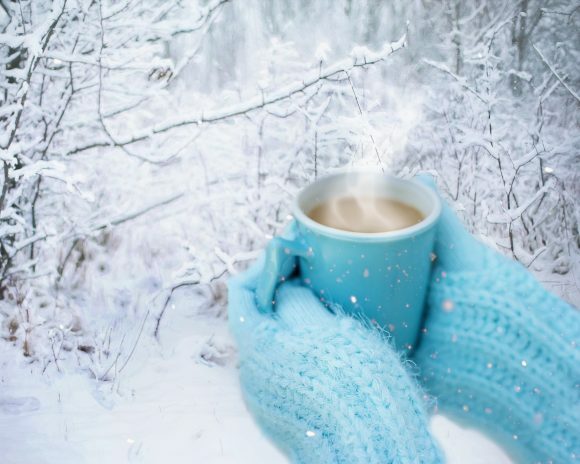 Just stay in side and warm, don’t drive if you don’t absolutely have to, and enjoy it while it is here! Boy Scout Anniversary Day – Today is the birthday of Scouting in America. The incorporation papers for the Boy Scouts of America were filed on February 8, 1910 by Chicago publisher William Dickson Boyce. To this day scouting groups across the country celebrate today, often with a cake at their weekly meeting, or on a camp out. 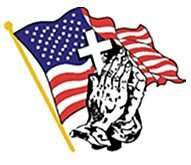 On Scout Sunday, the Sunday nearest the 8th of February, there will often be a church service, followed by a pancake breakfast. Cub Scouts and Boy Scouts teach life skills and values for millions of boys. The Scouts have been popular since Lord Baden-Powell founded the organization in the early 1900s in Great Britain. The top award of Eagle Scout is an accomplishment that brings recognition, rewards and benefits for a young man throughout his life. It was interesting to read that in 2004 there were 3,145,331 boys in the scouting program, and 1,173,064 scout leaders. Lord Baden Powell published the first scouting manual, Scouting for Boys in 1907. His wife, Lady Olave Baden-Powell, founded the Girl Guides – but that is a different celebration for a different day. My son was never involved with the Boy Scouts, though our church denomination had a boys’ group that was similar called Royal Rangers. They did many of the same types of activities, with the additional task of memorizing Bible verses and performing Biblical based tasks each week to earn their badges. I feel like he learned many wonderful things in the couple of years he was in the Rangers. It is my guess that the Scouts bring similar skills to the boys involved in their program as well. There is something very gratifying about watching 7 and 8 year-old kids learning archery, target shooting, reciting their verses, etc. Did this mama’s heart proud – and he grew up to be a wonderful contributing member of society, first in the military, and now as a law enforcement officer, husband and father. 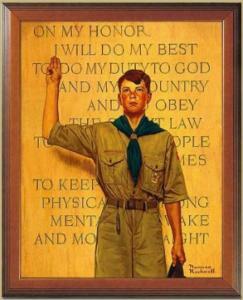 It’s such a shame that the Boy Scouts have set themselves on the road of self-destruction by bowing down to political correctness by allowing girls to bully their way into the group. 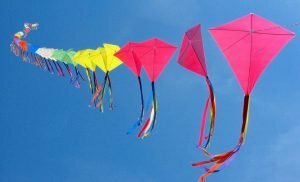 Kite Flying Day – A day to celebrate flying kites is awesome, but I have to wonder why the middle of winter was the time of year the originator of this day decided to celebrate? People have enjoyed flying kites for thousands of years, and is a popular activity for both children and adults . . . but in February? Brrrr! I’m fairly certain that the folks dealing with snow and ice are not thinking about heading out to fly a kite today! I am guessing that the folks in the warmer parts of the country will be more likely to celebrate this one today . . . I think I’ll wait until later on in the year. Did you know that kites were first used by the military in ancient China over 3,000 years ago? I didn’t either! Some kites are very fancy, complicated and HUGE! I saw this one guy at the ocean once that was nearly getting lifted off the sand by the kite he was flying! Of course, at the ocean the wind is often quite gusty, and it was that day, but that’s quite a kite, right? Benjamin Franklin was possibly the most well-known kite flyer, remembered for flying a kite in a thunderstorm and discovering electricity. We all know better than to do that now, right? He was lucky to survive that little experiment, though as I sit here in my house warmed and light from the wonders of electricity, I have to admit that I am grateful he took that risk. 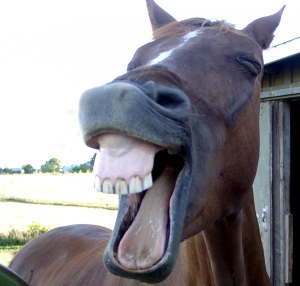 Laugh and Get Rich Day – We’ve always heard that laughter is the best medicine. Laughter carries the power of happiness! According to retail author and speaker Rick Segel, “People who laugh are more effective and tend to remember things better”. Well, if that is the case, I should have the memory of an elephant! It was suggested by Norman Cousins in the 1970s, as reported by the American Physiological Society, that humor and the associated laughter it brings, can benefit a person’s health. In 1995, Madan Kataria, after studying many modern scientific studies that described in depth the many proven benefits of laughter on the human mind and body, started Laughter Yoga. It started as a small club, and now there are laughter yoga clubs in more than 60 countries. Laughter has always been a part of my life. My family laughs easily and have always teased each other and made each other laugh. I remember sitting in my Grandma K’s kitchen – if I close my eyes, I can picture her, sitting there with her apron tied around her waist, one hand over her mouth, the other in front of her, holding her stomach, tears streaming down her face as she laughed until she could barely breathe. The rest of us were standing around laughing just as hard, and the moment we’d start to calm down, we’d think about why we were laughing – which honestly none of us could remember any more – and that would set us off again. There was always laughter when we were with my Grandma, and we left her house feeling happy, uplifted and healed from any hurts or frustrations we may have been feeling. The power of laughter is incredible. The fact of many of our lives is that a lot of us are overworked, underpaid and downright stressed out about it. If you are fortunate enough to have a job, many are just living from paycheck to paycheck, and paying the bills is a constant worry and an ongoing juggling act. Can you imagine what it would be like to never have to worry about having enough to cover the bills, or to have enough left over AFTER the bills to have a little fun without having to let something go? I lived that way for many years, and though I am by no means well off, I am able to breathe a little between paydays, and I fully sympathize about the stress that it causes. The old saying that “Money can’t buy happiness”, is true, but doggone it, it sure makes life easier and it’s always been my thoughts that it was someone with money who had to have said that in the first place. Today, in honor of Laugh and Get rich Day may I suggest buying a lottery ticket – just for the fun of it? Or apply for that job you always wanted but just haven’t taken that step, or how about that really fantastic thing you invented but haven’t applied for a patent? Today may be the day to just do that and who knows? Maybe you’ll be laughing all the way to the bank very soon! I guess I can tell you today, have a good laugh! It will relieve some stress and make you feel wonderful. No One Eats Alone Day – I do not know how long this one has been happening, but I think it is absolutely WONDERFUL! This program was started to carry a message to children across the nation in schools to assist in helping children not feel isolated and bullied. It was founded by the parents of Lili Smith, who was born with a cranial facial syndrome that led to her being socially isolated in school due to her facial differences and a lack of social skills that were needed to keep up with her peers. She passed away at the age of 15 due to medical complications, and when this happened a few local teens came together to honor Lili’s life. They started a discussion that most kids don’t talk about, social isolation in middle school. These kids stood up and courageously took a stand in their school, leading assemblies, sharing personal stories, starting small group discussions peaking at conferences and being interviewed by the media. This group has now grown into dozens of teens in three communities in California and Oregon, and another will be joining them in New York City. 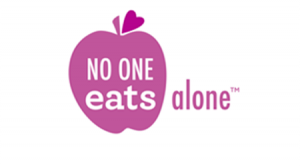 They are bringing awareness to their schools and communities, often starting with National No One Eats Alone Day, bringing the word that a new day has come – a day when No One Eats Alone, when kids invite those who perhaps are different, lonely, quiet or shy, to eat with them and join their group of friends. This is beautiful, and I hope it reaches every school across this nation. I just wish it had started when Lili was still alive to participate. Opera Day – I’ve never seen an opera, and because I wasn’t raised in a family that listened to Opera, I didn’t grow up with any appreciation of it as a musical genre. The truth is that Operas have been captivating audiences since the 16th century and is a highly revered art form that gains new enthusiasts even today. So, what exactly IS an opera? It is a piece of performance art that combines music with text and is very often a dramatic story complete with acting, scenery and costumes. Basically . . . a musical! If you have never developed a passion for opera, or just assume you don’t care for it after never having seen one, today is the perfect day to give it a try. 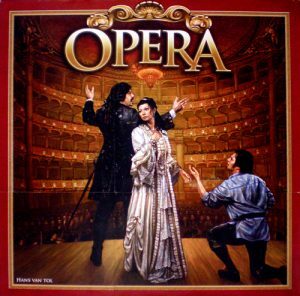 Experience opera for yourself by finding one on Netflix or You Tube. I’m sure they have some! I may look one up myself! 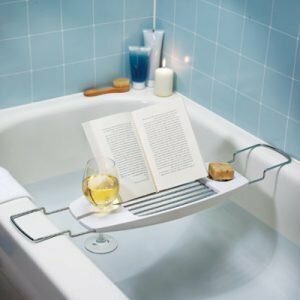 Read in the Bathtub Day – Is there anything more relaxing than a nice long soak in a sudsy bathtub? And how better to enjoy a solitary bath than reading a good book in the tub? Today’s celebration is a license to relax and enjoy two of life’s simple pleasures – a soak and a good book. Gather everything together that you’ll need – your fluffiest towels and robe, the book you’re going to get lost in while you soak, scented bubbles, something to drink, candles and a lighter or matches, a radio (set far away from the tub of course) playing quietly for background music, and a hand towel set nearby just in case you need to dry your hands off. Once you’re settled into the water, lean back against a tub pillow if you have one, and let the warmth just soak into your sore and tired muscles. Relaxing in the tub! 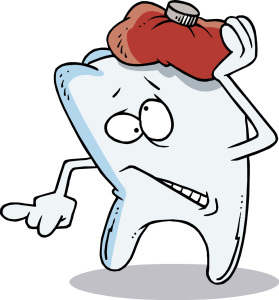 Toothache Day – My question is . . . why? I know I’ve talked about a lot of different and bizarre days, but this one is a doozy. It’s possible that the originator was having a horrible toothache and set this day up as a reminder for people to take good care of their teeth, so they could avoid the same suffering in the future. (sounds plausible, right?) Be sure to go in to see your dentist regularly for your cleanings and exams – keep those toothaches away! And while you’re taking care of your teeth, maybe it’s a good time to pick up a new toothbrush! I know every single year I put toothbrushes in my kids’ stockings – and yes, I know they are all grown up now – but they are still my “babies” and they will always and forever get a new toothbrush in their stockings, just like they have since they grew their first tooth. I must wonder though – do you suppose it’s a coincidence that the Hershey Chocolate Corporation was founded on this day back in 1894? Plimsoll Day – On February 10, 1824 Samuel Plimsoll was born. He was very interested in safety at sea and condemned the owners of the ships who put the sailor’s lives at risk by dangerously overloading the ships with cargo. He discovered that nearly 1,000 sailors a year were drowning on ships around British shores because of the overloading. He started a campaign to make in mandatory that ships have a load line marking when they were overloaded, which would ensure the safety of the crew and the cargo. The line on the ship came to be known as the Plimsoll Line. It is also known as the Load Line or The International Line. This marking on the ship’s hull shows how low or high the ship is sitting in the water. By examining the plimsoll line you can tell the depth that a ship may be safely and legally loaded. This marking is now mandatory and international. The Plimsoll line is important because if a ship is riding too low in the water it becomes dangerously unstable and could capsize. The level of a ship in the water is also affected by temperature and salinity as well as load. Temperature affects the level because warm water provides less buoyancy, since it’s less dense than cold water. The salinity of the water affects the level because fresh water is less dense than salty seawater. In 1876, British Parliament passed the Unseaworthy Ships Bill into law. this act required a series of lines to be painted onto the ship to show the maximum loading point. It was unfortunate that the act allowed the ship owners to pain the line where they saw fit, and some decided to paint it on the funnel of the ship. It was not until 1890 that Board of Trade officials applied the regulations that Plimsoll intended, and the line was painted on the side of all ships. Different levels are shown with code letters to indicate the type of water. I realize that though this may not be the most exciting thing to celebrate, it is something very worthy to acknowledge because this implemented safety regulations that kept many sailors alive and able to sail home to their families. So, thank you Samuel Plimsoll for caring, for standing up for what you believed in, and making the necessary changes to keep so many people safe over the years. Umbrella Day – The umbrella deserves to be honored since it is of one of the world’s most invaluable inventions. We get so many rainy days around here that most people have one in their cars, at work, set inside their doors at home . . . everywhere they may be when the rain starts. I know I am glad that someone was smart enough to invent them. Umbrellas are also used to shade people from the heat of the sun and protect them from harmful UV rays. They come in all sorts of colors, designs and sizes and are even used for advertising for businesses and organizations! Golf umbrellas are popular sizes because you can fit more than one person under them. There are lawn and beach umbrellas, some that fold down small enough to fit into a purse or bag, automatic or manual opening ones, and some that are really reinforced for heavy wind! 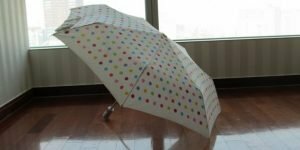 I remember a time when I wasn’t so appreciative though – I was in Junior High and for some reason I can’t even think of now, it wasn’t considered to be cool to carry an umbrella. The ridiculousness of it all is that I would spend an hour doing my hair and getting ready for school, leave the house with an umbrella, walk the 1/4 mile to the bus stop, but ditch the umbrella in the bushes right around the corner from where the rest of the kids were waiting for the bus. Depending on how hard it was raining, but the time I rounded that last bend and got under the cover of the bus stop, I’d be soaked to the skin, looking like a drowned rat. All that prep time was wasted – I should have just brushed my hair after my shower, thrown on something wrinkled and headed out the door. The “DUH!” of those years boggles my mind. 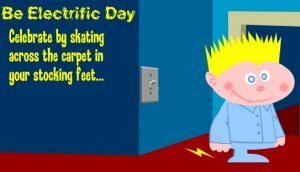 Be Electrific Day – This holiday was started back in 1998 by a professional speaker named Carolyn Finch. She defines electrific as “an abbreviation for an electrification project – which means to put light where light has not been before.” It’s also a good day to be electrific, since this one shares the birthday of Thomas Alva Edison. (I never knew his middle name was Alva!) We celebrate all of his electrical inventions and perhaps explore our own body electricity . . . which brings me to a funny story. Of course, it wasn’t funny at the time . . . but, I remember when I was about 25 years old, I was helping my ex-father-in-law with putting ties on the electric fence line. It had been raining like crazy, and I was standing in a low spot by the gate in a puddle. I hollered out to him to ask if the fence was turned off. He shouted back “YES!” What he heard was me asking if the fence was ON, not OFF. I reached up over the tall gate to release the latch, and because of the angle and the height, managed to lay my left cheek against the live wire. OH, MY GOODNESS!!!! I felt the current go into my cheek and simultaneously it blasted into one of my fillings, and out the end of my thumb. My whole body tingled, and I danced around in place, screaming like a banshee, cussing a blue streak, crying at the same time. He made his way to where I was still having conniptions and asked me his typical question . . . “You stupid or something? I told you the fence was ON!” Yeah, I suppose he did. Don’t Cry Over Spilled Milk Day – Growing up I always thought that this was silly. In my kid mind I couldn’t figure out why anyone would cry over spilling milk! Mom always told us that accidents happen, so clean them up and don’t get upset about them. To me, this was as silly as “Having Your Cake and Eating It Too!” What’s the point of having cake, if you aren’t going to eat it? Hm? Think about that one, though I’m sure that’s a different celebration for a different day. 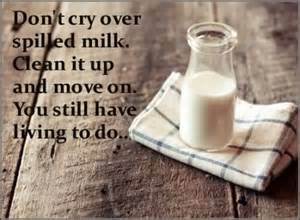 In reality it’s not really about spilling milk, but about dealing with the little mess-ups we have now and again with a positive, optimistic attitude – looking on the bright side in all things. Stuff happens, so don’t worry, fret or cry when it does, but just buck up and fix it! A pessimist and whiner will cry over spilled milk, and honestly, I don’t have a lot of time or tolerance for either of them. Let Don’t Worry/Be Happy be your motto of the day! Get Out Your Guitar Day – I have never played the guitar, or actually had any desire to do so. I played the piano. It has always been with a little envy that I have watched various people pick up a guitar and strum out a tune. At least until I picked up a guitar and tried to hold a couple chords and realized that it hurts! My fingers were tender afterward, so I can’t imagine building up the calluses that are necessary to be a successful guitar player. I decided to stick with the piano and admire guitar players from afar. Today is the day for all of those people who DO play to take out their guitars and dust them off – provided they are dusty in the first place – and play a song, maybe dust off some old wishes and dreams at the same time. 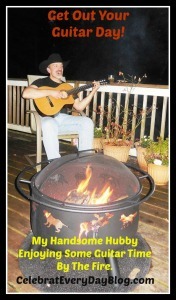 This picture of my hubby is one of my favorites! That moment, sitting on the deck, listening to him play his guitar, was such a happy one that I smile about every time I think about it. National Shut-in Visitation Day – February is a month we think about little furry critters predicting the length of winter, and cupids shooting their little love arrows, but what most people DON’T think of this month is all of those men, women and children who, for whatever physical, mental or emotional reason, are unable to leave their homes, and spent their lives pretty much cut off from the outside world and companionship. These situations leave these people feeling alone, isolated and dispirited. Imagine for a moment not being able to leave your home to take a walk, run to town to pick something up from the store, or even walk to your own mailbox to get your mail. Losing that freedom would be so depressing and sad in so many ways. Today – or any day for that matter – is a great day to think about someone who is going through that and spend some time with them. Take them a home-cooked meal, a baked treat, take them a puzzle or a game that you can enjoy together. The gift of your time and your caring could be exactly what they need to make their day brighter, and their lives less sad and lonely. If you don’t know any shut-ins personally there are always people in nursing and retirement homes who never have any family or friends visit them – and they see other residents day in and day out get visitors, while nobody comes for them. You could be a bright spot in their day and who knows? This could tie in with making new friends day and you could make a great new friend!! Whatever you decide to do though, remember that February isn’t just Valentines, roses and candy – it’s giving of yourself and your time to show love and caring for someone who is isolated and lonely. Putting a smile on their faces and in their hearts and you will receive a reward greater than any you could imagine. 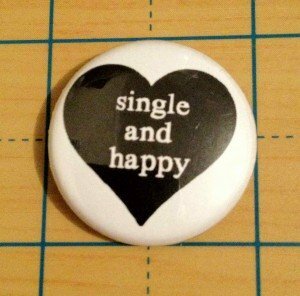 Satisfied Staying Single Day – I know with Valentine’s Day coming up, there are some single folks who may be sad about being single and not having a sweetie to spend the evening with, but many single people are perfectly fine with their own company! They want the rest of us to know that being single is fine and that they get the benefit of saving money on flowers and candy . . . unless they choose to buy them for themselves. As for the rest of us . . . yes, it’s a commercialized “Hallmark” holiday, but I still think flowers are a nice touch. Feb. 8, 1910 -The Boy Scouts were founded. Feb. 9, 1964 – The Beatles appear on the Ed Sullivan show. Feb. 10, 1763 – France cedes Canada to England, ending the French and Indian War. Feb.11, 1809 – Robert Fulton patents the steamboat. Feb. 11, 1945 – The Yalta agreement is signed by Roosevelt, Churchill, and Stalin. Molasses Bar Day – When was the last time you appreciated the simple flavors of an old-fashioned molasses dessert? 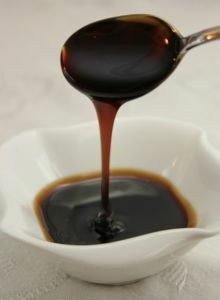 (I personally have NEVER had an old-fashioned molasses dessert, but I do love molasses!) 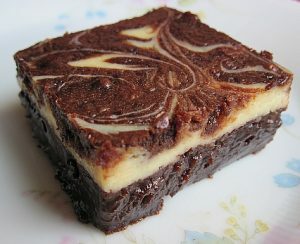 Check out these recipes from www.food.com and see if there’s something that looks good to you! I honestly can say that those cornmeal molasses skillet rolls look delicious! Carolyn Ketchum has a recipe for Chewy Ginger “Molasses” Cookies on her blog All Day I Dream About Food that I am going to try. Her recipe doesn’t actually HAVE molasses in it, but based on my experience with her recipes, it will taste like it does! Yum! Potato Lovers Day – I love potatoes. Obviously, many of us do! They can be prepared in so many different ways. What is your favorite way to eat them? I don’t think I can decide. I love them mashed, fried, baked, French fried, scalloped . . . what other ways are there? Ooooh my favorite – German Potato Pancakes! YUM! As for eating potatoes while living a low-carb lifestyle? Well, they are off the table. WAY too many carbs, and I honestly can say that I miss them. Because of this I look for alternatives – which is easy in soups – for things like French Fries, baked potatoes, roasted, etc., it isn’t as easy to disguise the fact that what you are eating is dressed like a potato, but isn’t. Rutabagas, turnips and jicama are good alternatives and I feel pretty good about being able to use them in soup and chowder without too great a taste difference, but for this celebration I wanted to try something a bit more difficult. I chose the baked potato – loaded with goodies and so comforting. I used rutabagas. They had a decent texture, they baked up nicely, and if eaten with the sour cream, cheese, butter and bacon they were not too bad, but there was that underlying rutabaga flavor that was inescapable. Would I eat them again? Yes, I think so, but I am not fooling myself that it’s the perfect alternative for my beloved potatoes. There are some interesting facts I read about potatoes that I thought might interest you. They interested me, so I figured I’d share! 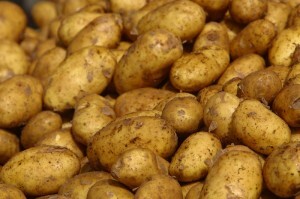 The word potato comes from the Native American word “Batata”. I can see how the word morphed from its original to what we have now, can’t you? The first potatoes are estimated to have been cultivated back in 5000 BC in Peru. Originally, they were purple and when cooked turned a deep blue color. Anyone who has ever cooked purple potatoes knows the shade I mean. Most of the nutrients that are found in potatoes are in the skin, which makes it rather sad to think of how many potato dishes are made with potatoes that have had the skins removed. Sweet potatoes are distant cousins of the common potato, but yams are not potatoes at all! Botanically they are considered to be lilies. The average American eats about 140 pounds of potatoes each year. We are apparently very low on our quota since we have reduced the amount of starchy foods we eat. I do love potatoes and I miss them. The Spanish claim to have introduced the potato to Europe in 1550, but the Irish say that in 1585 Sir Walter Raleigh did. 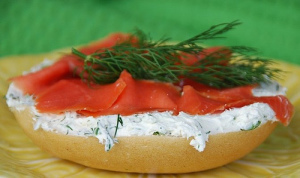 National Bagels and Lox Day – The most-satisfying brunch spread is also the easiest: a DIY buffet of bagels and smoked salmon (aka lox). Don’t forget the cream cheese and some strong coffee! Pizza Pie Day – I’m pretty happy this one landed on a Friday, since Friday night is pizza night in our house. For this one, it doesn’t matter if you prefer thin crust, Chicago style, deep dish, full of carbs, or low car, you can enjoy your favorite pizza pie and celebrate with a smile on your face. I already know what I am going to have for dinner tonight. We didn’t celebrate fettucine alfredo day since I wasn’t feeling well, so I’m going to combine the two and have a low carb pizza crust with an alfredo sauce and various toppings that will go with that flavor profile. Ta-Da! Two for One Food Celebrations! I love it! 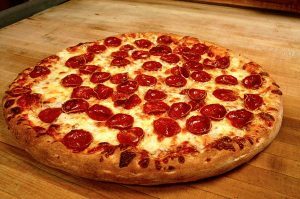 Did you know that pepperoni is the most popular pizza, coming in at 36% of all pizzas ordered? Or that 17% of all US Restaurants are pizza places? How about that Americans consume, on average, 23 pounds of pizza PER PERSON each year! That is a LOT of pizza! Cream Cheese Brownie Day – There are many days when I wonder why all of the official food holidays can’t be about fruits or vegetables! At last THOSE I could celebrate without guilt! But no . . . once again we have tempting deliciousness to look at and drool over! Today everyone who is able to indulge themselves can combine the two amazing flavors of cheese cake with brownies – getting the best of both worlds. Everyday Ketogenic Kitchen cookbook, by Carolyn Ketchum, has a No-Bake Brownie Cheesecake Bars recipe that I can’t wait to try, so I think this is on the menu for the day! Peppermint Patty Day – Chocolate and mind is a wonderful combination, and there is nothing quite as tasty as a peppermint patty. Sadly, only two of these recipes have anything to do with peppermint patties but enjoy them anyway! 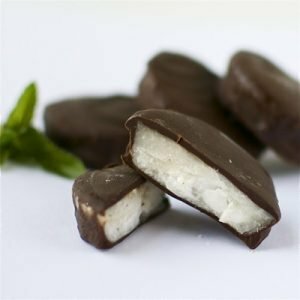 I found a low-carb recipe for Peppermint Patties that I may try with my new candy molds. I hope it turns out OK because they sound delicious! I think I’ll use the peppermint candy center from this recipe. And the chocolate from the Everyday Ketogenic Kitchen Cookbook – Page 322! I’ve already used that recipe and know how delicious it is. I was feeling really lazy over the weekend, spending my time watching the snow, baking some treats, enjoying my time with Hubby and puttering around the house a bit. I’m catching up today and will do my best to be on time tomorrow. I have been wishing for snow for so many years that I am enjoying this completely. I read in the news this morning that this is the most accumulation this area has had since 1923! Amazing! Have a wonderful day, stay warm and God bless you! I’ll see you tomorrow.